ACMS is the only training centre in Australia authorised to deliver Association Montessori Internationale (AMI) Montessori early childhood courses. 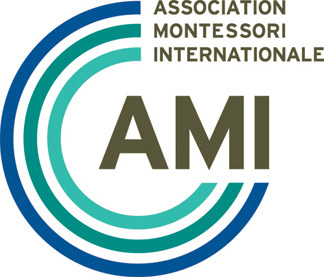 AMI, established by Dr Maria Montessori, affiliates training centres throughout the world, offering AMI courses recognised internationally for their quality and authenticity. In Australia, all educators working with children from birth to preschool age must have, or be actively working towards, at least an approved Certificate III level education and care qualification and 50% of educators in a centre must have, or be actively working towards, at least an approved diploma level education and care qualification. Our AMI Montessori Diploma Early Childhood 3-6 course is an approved diploma level education and care qualification* by the Australian Children's Education and Care Quality Authority (ACECQA). ACMS is a Registered Training Organisation (RTO Number 40020). For a summary of the most recent audit information for our RTO click here. The AMI Montessori Diploma Early Childhood (3-6) is an NQF approved diploma qualification with the Australian Children's Education & Care Quality Authority (ACECQA). ACMS is the only training centre in Australia approved to run the internationally renowned Association Montessori Internationale (AMI) Montessori training courses.